Just possibly–almost assuredly–the best coffee in Paris is imported, roasted, and served, sometimes at a ponderous pace but with great courtesy and passion, at La Cafeotheque on Rue de l'Hotel de Ville edging the Marais. The person who created this cafe-coffee roasting house is (or possibly was) a Columbian diplomat who loved coffee and (I was told some time ago) could not stand the filthy pig slop that passes for coffee served in most French cafes, including nine in ten of my favorite cafes in Paris. That's because the coffee is rarely why you go to a Paris cafe. See my essay "Life's A Cafe" in my book of essays, "Paris, Paris: Journey into the City of Light," for the whole story. Most coffee beans used by Parisian cafes come from former French colonies in the Far East and Africa. Most of those beans are second or third or forth rate. The Robusta is highly caffeinated and often very bitter. The Arabica (almost always from Vietnam) is acidic. There is one main importer, roaster and distributor of these ghastly coffees and I will not name them here. They are at the head of what's known as the "Auvergnat Mafia" of cafe operators. Auvergnats from the Massif Central gained an almost complete monopoly on running cafes in the City of Light way back in the 19th century and have not given up. So while the Cafeotheque may look and feel like a New World coffeehouse on 4th Street in Berkeley, California, or somewhere in hipster Brooklyn or Portland, Oregon, and while the staff wouldn't pass muster as "French" at a Front Nationale rally (xenophobic white bread French people who are an awful lot like Trumpists), it's got the goods: great coffee, in many varities, from many places, properly roasted and brewed in clean machines (hygiene in Paris coffee machines often leaves much to be desired). Oh, and beyond the friendly, smiling, totally unParisian service, the cakes and edibles are made at home (by an adopted Parisian, eek!) and are delicious. Au cafe! As ever, I do not take freebies, I pay for all my coffees and meals and drinks, everywhere, the proprietors do not know who I am or what I am doing, I take no payments from anyone. All I do is flog my books in this blog and when I'm on book tour. 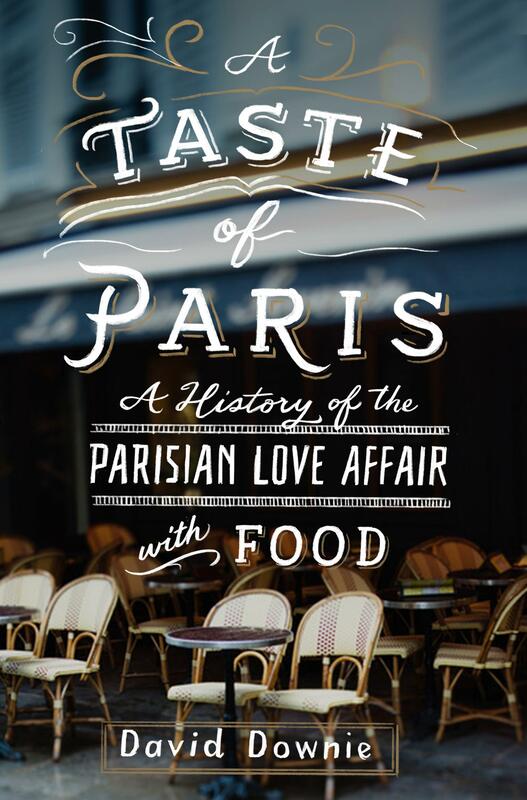 A Taste of Paris: A History of the Parisian Love Affair with Food comes out on Sept 26, 2017 and I will be doing events in NYC, WA DC, and the SF Bay Area notably at Politics & Prose and Book Passage, plus many other venues TBC. Stay tuned!